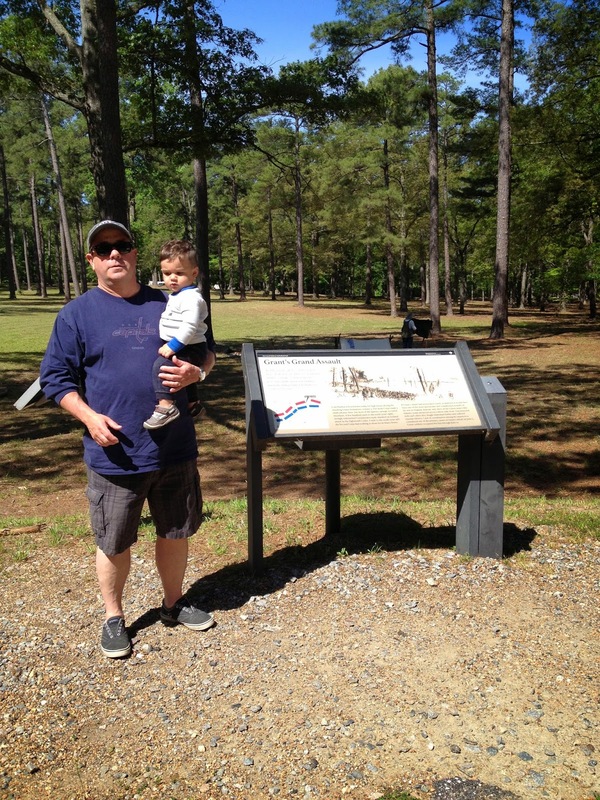 As part of my goal to visit the battlefields that were part of the history of my great-great grandfather's service in the Union army during the Civil War, I decided to stop at the Cold Harbor National Battlefield Park on my way down to the Outer Banks, North Carolina. Part of the Richmond battlefield series, Cold Harbor is a relatively small park that requires a short drive off of Route 295, north east of Richmond. After a 10 minute diversion off of 295, I arrived at the park pleasantly surprised to find out that a 150th anniversary celebration was underway that particular weekend. 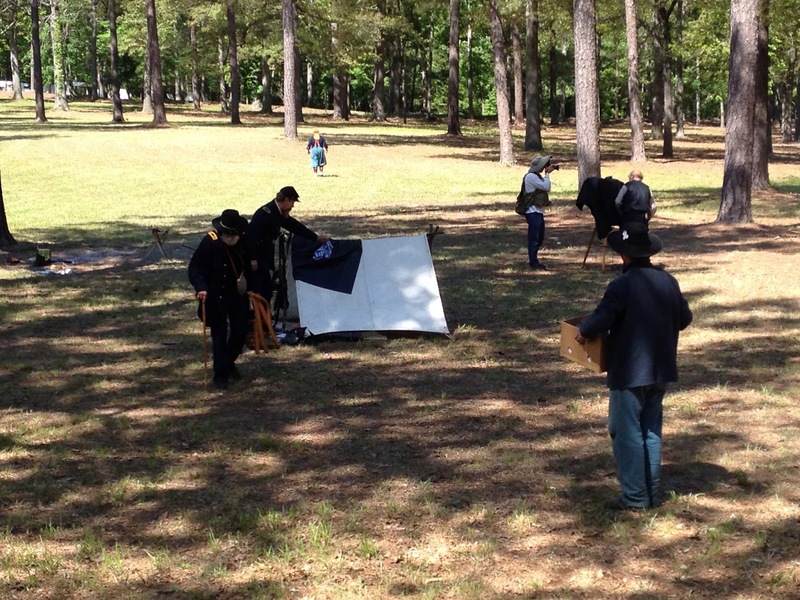 I arrived on Sunday, June 1st in the late morning to find a reception center at the main parking lot, along with a series of Confederate and Union encampments further into the wooded areas along the line of battle. I was very very impressed with the authentic nature of these encampments with the men and women dressed in period outfits and the camp equipment of the correct style and substance. 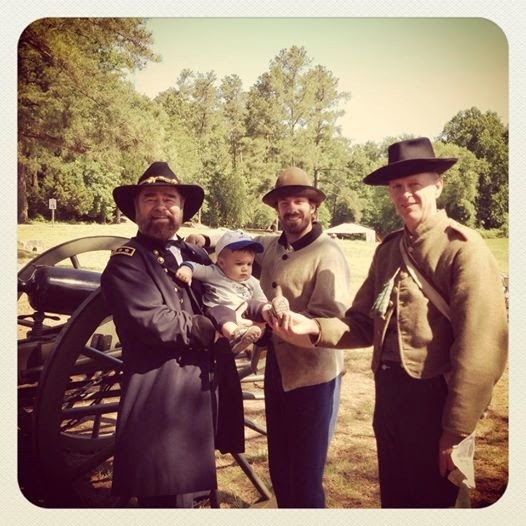 Clearly, a lot of effort and passion goes into the planning and execution of these events and the reenactors did a magnificent job of giving the visitors the look and feel of the era. Additionally, I met a ranger whose ancestor fought with the 48th PVI and who is passionate about the history of the 48th. That was a really interesting experience meeting another descendant of the 48th. Unfortunately, the part of the battlefield occupied by the 48th during the battle of Cold Harbor is not part of the public battlefield trust and is privately held. It is located some 4 miles north of the park, so I was unable to visit the exact location where John W. Derr was encamped and fought. However, I was able to get the feel of the battlefield while walking in the woods and around the trenches that remain and were dug by both Confederate and Union forces.